The second part of our 23 mile walk from Brooklyn to Garden City, where we dig into Floral Park history, swing teapots, learn about the history of slot racing, and talk with astronaut Jerry Ross at the Cradle of Aviation Museum. The village was once called East Hinsdale. In the days when trains rattled harder than they do now and George Selden was still working out the internal combustion engine up north in Rochester, East Hinsdale was a few houses, a railroad station, a post office, and a sole store that served the surrounding farms. But in the last decades of the nineteenth century, a charismatic seed seller named John Lewis Childs would change the village’s destiny. Childs had arrived from Maine at the bright young age of seventeen. He built up a burgeoning bulb business and was so successful in hawking flora that he was able to build an impressive Victorian mansion in 1882 with a grand Gothic front and snazzy cornices. The manse was torn down in 1950 to make way for the comparatively pedestrian apartments pictured above. Childs made several smart business decisions. Aside from taking great interest in his employees’s lives, he began naming the streets after flowers. But Tulip Avenue wasn’t enough for Childs. Childs was a man who saw the bigger picture. He bought up land faster than a trust fund kid with a limitless liquor cabinet and an expense account beyond the dreams of avarice, but with greater grace and acumen. There was pride and reputation at stake. Childs persuaded his neighbors that living in a place called East Hinsdale wasn’t nearly as inspiring as residing in a true village named Floral Park. It was a compelling argument. East Hinsdale became Floral Park in 1890. It is worth pointing out that Childs did this not long after establishing the nation’s first seed catalog business. (Many of his catalogs can be found online through the New York Botanical Garden.) But he was good enough to build a public park and the village’s first school. He even published an annual magazine called The Warbler. And he parlayed his business savvy into a political career that took him to the New York Senate. But above all, Childs was guided by the flowers. And it seemed especially disrespectful that the place where Childs had once lived and blossomed and sprouted a town did not have a single flower for the casual stroller to admire. Despite the historical calumny against John Lewis Childs, Floral Park is a very pleasant village, especially if you walk along Tulip Avenue. 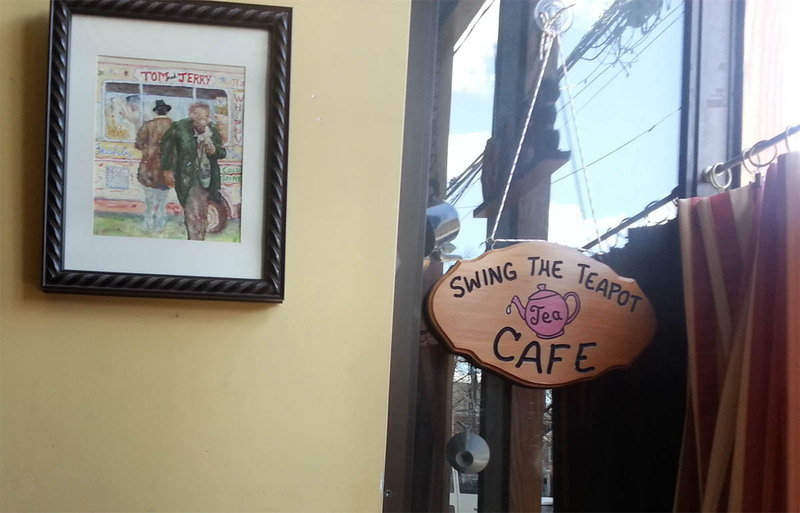 I stumbled onto a charming establishment called Swing the Teapot. I entered through a white door with a curled floral pattern etched into the glass and found a window seat at an old Singer sewing machine turned into a table with a smooth surface. Three tiny cups dangled from a teapot hanging in the front window, draped with striped curtains. Warm browns beckoned families and retired types and tittering girls inside to fine tables near brawny brick walls. I heard concerns about an uptick in foreclosed homes. There was a young woman trying to lull her grandfather into the seedy world of social media and hashtags. It was refreshing to sit in a public place without laptops or people constantly looking down for new messages, although I felt like the biggest hypocrite when I checked my phone to ensure that I was on the right route. I was, after all, only hours away from the Cradle of Aviation Museum in Garden City, New York. I enjoyed a bowl of potato leek soup and a blended pot of Thai tea that provided much needed sustenance for the next seven miles. I asked the waitress how long the place had been around. She said five years. Was it a family business? “Can you read?” she replied. “There’s a story on the menu.” Indeed, there was. Something about a guy named Jack Smith who came to America in 1929 selling tea door to door. 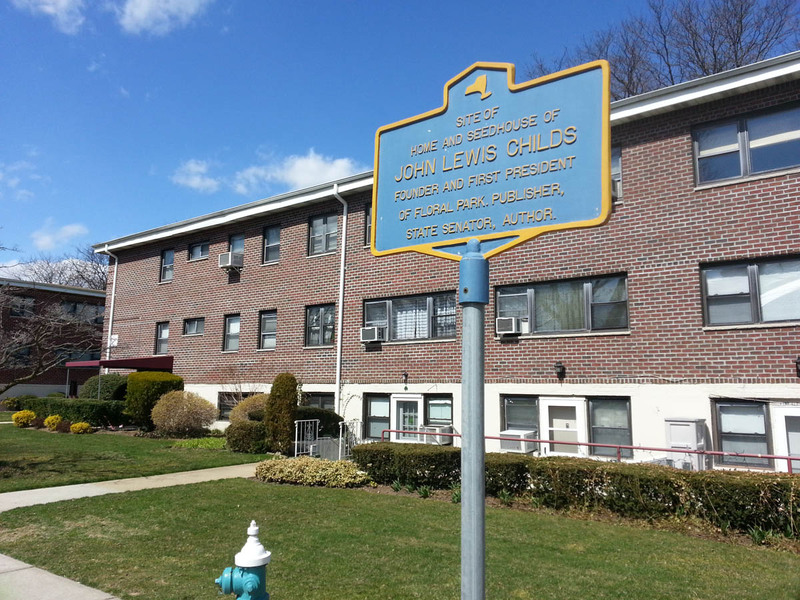 A Floral Park legend to match John Lewis Childs, but one you won’t find in the history books. There were two men in the squinty distance, but I was too mesmerized by the three raceways edged with red and baby blue siding. The lined lanes devoured most of the space at Slots-A-Lot Raceway, with the king track’s inviting coils stretching some 150 feet. The man behind the counter was Kenny. He owned the raceway and his eyes and cheeks burned with bright life. The other man was Bianco. He was the trusted techie wearing sunglasses and dark leather, perched on a tall corner overlooking the tracks. I had arrived not long after the place had opened, not long after Kenny had turned the keys for another night in raceway heaven. Kenny and Bianco were from Brooklyn and had been pushed all the way out to Franklin Square to keep their passion alive. There is no trace of Jermaine’s through Google. Fortunately, Buzz-A-Rama remains quite alive. I asked Kenny why he felt that slot racing had fallen off in recent years. 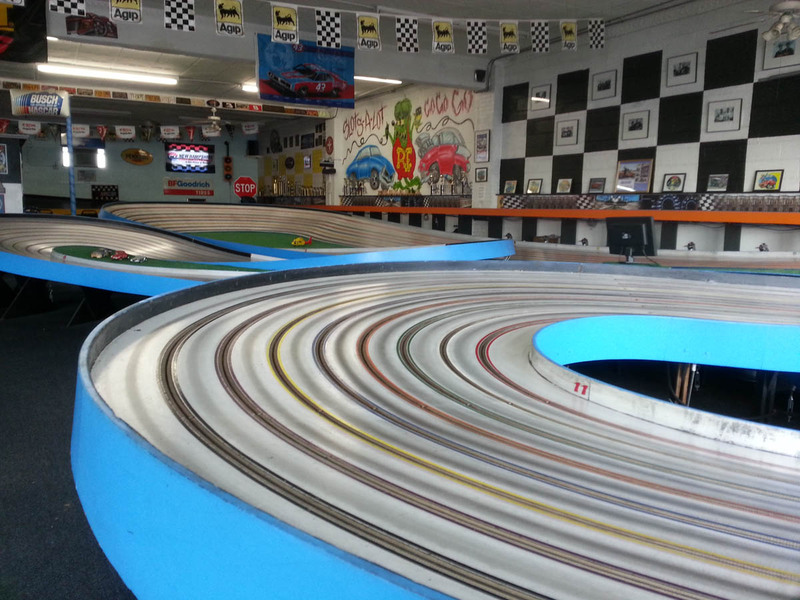 There are several reasons to try out slot racing in 2013, but one greatly compelling one is the fact that today’s slot cars are much faster than they were decades before. And if you’re racing open class, the lap time around the Slots-A-Lot king track is 2.1 seconds. But the track surfaces need to be cleaned every week. The lanes need to be rebraided. There’s a DC battery system that needs constant maintenance. Because the last thing you want is a leaking cell. Fortunately, slot car supplies are secure. There isn’t much of the way of scavenging with this hobby. And that’s because Europe and South America love slot car racing more than America. Bianco’s interest in slot cars was more recent than Kenny’s. He came from a family of motorheads. On the weekends, he’d help out his cousins with brake jobs and changing oil. The passion advanced to miniature when Bianco developed a highly addictive interest in RC cars in the mid-90s. It evolved further when he tinkered with a slot car home set. Bianco helps Kenny with his computer needs, bringing in his expertise from the energy business, and he works at the Raceway for free. He loves slot car racing that much. He feels that if he doesn’t put in the time now, then tomorrow’s kids may not have a place to race slot cars. A lot of these guys, much like Kenny, have stayed at it since the 1960s. But Bianco says that, on a national level, slot car racing doesn’t quite cut it with today’s youth. Many raceways have been forced to close down because of the waning interest. It’s the birthday parties and the family gatherings that keep the flame alive, that keep Kenny and Bianco smiling in Franklin Square. It was close to 4:30 PM and time was tight. The astronaut Jerry Ross was scheduled to begin his talk at 7:00 PM. But I had miscalculated the distance. There were two additional miles to the Cradle of Aviation Museum. 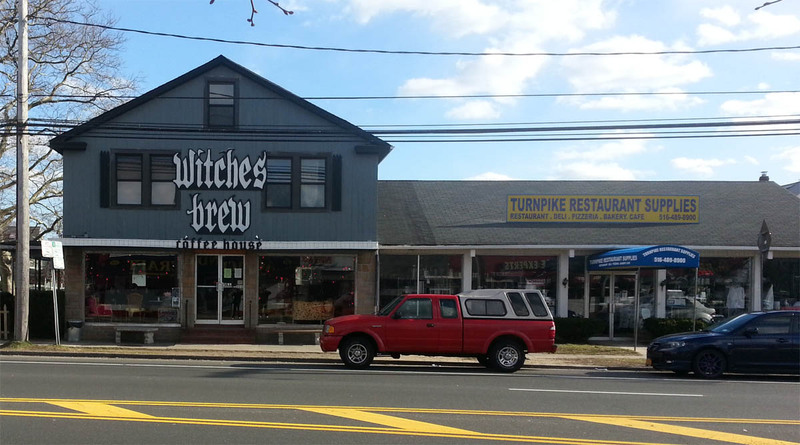 So I was forced to walk past The Witches Brew in West Hempstead — a notable haven for Long Island skateboarders. Hampstead was also neglected, but I loved watching the acrobatic garbage men dance in the streets and leap on the back of trucks while making sunset pickups. I felt the sun dying into my back. 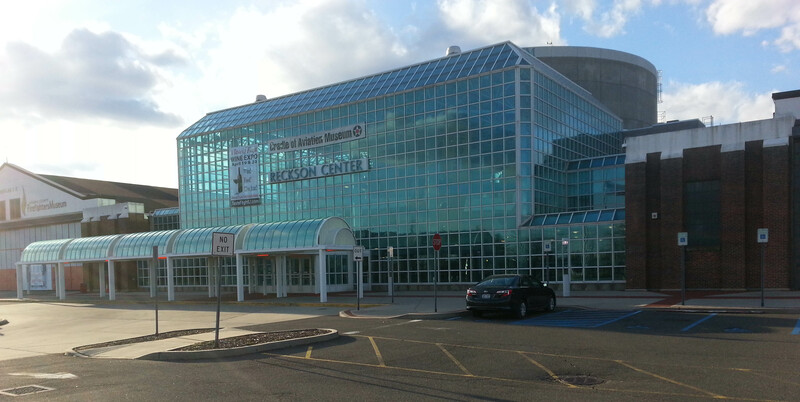 I arrived at the Cradle of Aviation Museum sometime around 6:20 PM. There were a few other people who sauntered behind me. An old school guard opened the door. I told him that I had walked 23 miles. Would it be possible to talk with astronaut Jerry Ross before his presentation? The guard said not before, but after. “It’s up to Mr. Ross,” he said. The guard sized me up as a man without military background. Had I possessed some arcane aviation factoid, there might have been a shot at camaraderie. But this was a place where my breakfast crepe-making skills were not welcome. 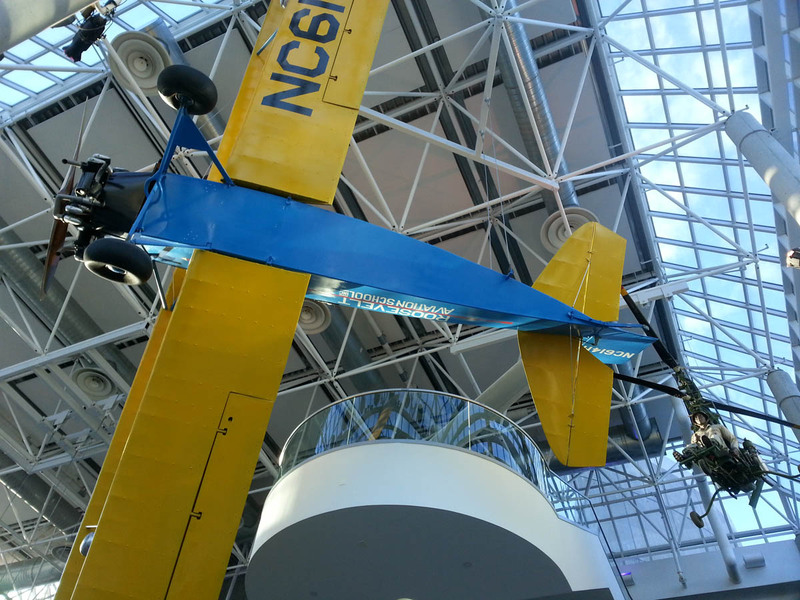 The guard let us into the Cradle’s grand lobby, where a Grumman F-11F and a Fleet Model 2 biplane were suspended above. I was able to sit for a bit. My respite was not to last long. A queue formed near the entrance of the theater planetarium. After walking 23 miles, I stood in line. I watched an older woman with a medical walker slowly approach the front. She asked for the guard, who had retreated into the theater. She was told that the guard wasn’t letting anyone in. This did not surprise me, given his largely unsympathetic attitude to people with curious bipedal predicaments. A few minutes later, the sour guard emerged from the entrance. “Did you let that lady in?” asked a man near the front. “She threw me out,” quipped the guard. Put any man on the road for a time and he will forge a clear gaze that tells you he’s seen it all. Magnify that quality by about six million and you have the look of an astronaut. Jerry Ross is a robust man of sixty-five who does not waste words and does not waste time. He has clocked in nearly 1,400 hours in space, performed nine space walks, and enjoys flicking his red laser pointer around a purple planetarium screen. Ross had built rockets as a boy in Indiana. His advancement had been swift. He went from studying mechanical engineering at Purdue to testing out ramjet missiles. He was the top graduate of the USAF Test Pilot School, which allowed him to secure a job as the lead flight test engineer for the B-1 Bomber. He flew 23 missions in the vehicle. And because Rockwell had built both the B-1 and the Space Shuttle, the cockpits for both were almost identical. The first time that Ross had applied to fly the Shuttle, over 10,000 people jammed the mailboxes with forms. Ross was one of 210 selected to come down to Houston for physicals and interviews. But he didn’t make the next cut of 35 applicants. Ross was clearly a man who had a few pointers on how to walk across the country. I stood in line after the presentation and told Ross about my project. He was very gracious and offered me a few minutes after he had signed books. I asked Ross how spacewalking differed from regular walking. Astronauts train in a water tank wearing the exact same suits that they use in space. So they’re building up the same muscles they’ll need in orbit. The astronauts also spend about the same time in the tank as they do in space: roughly about six hours. Ross said that this endurance was more physical than mental, although the exhaustion is just as tiring mentally as it is physically. 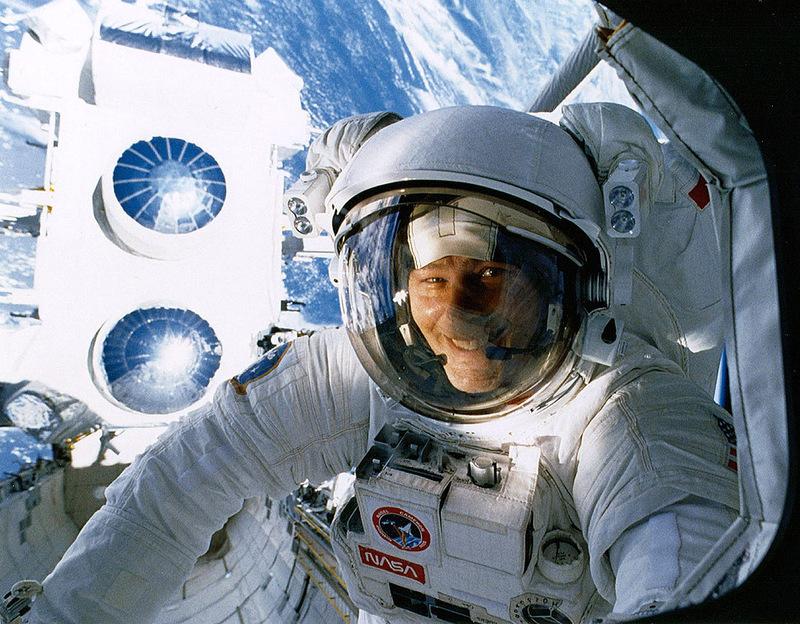 After his last mission, Ross devoted much of his time to making sure other astronauts could walk safely in space. I asked Ross if he had any tips for a cross-country walk. Who Knew the Universe Was Migrating?